Francis Arnold Balatico is a photographer and graphic artist from the Philippines. 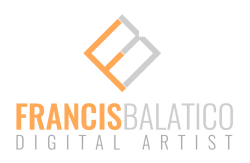 Specializing in creating high-quality digital artwork and composites, Francis has collaborated with clients all over the country. Francis has over 7 years experience as a photographer and graphic designer. Create a brand that works for you. Uniquely yours. Graphical content for your advertisements. Capturing the moment. Portraiture, glamour, products. Turn normal to awesome! Also doing collaborations with other creatives.